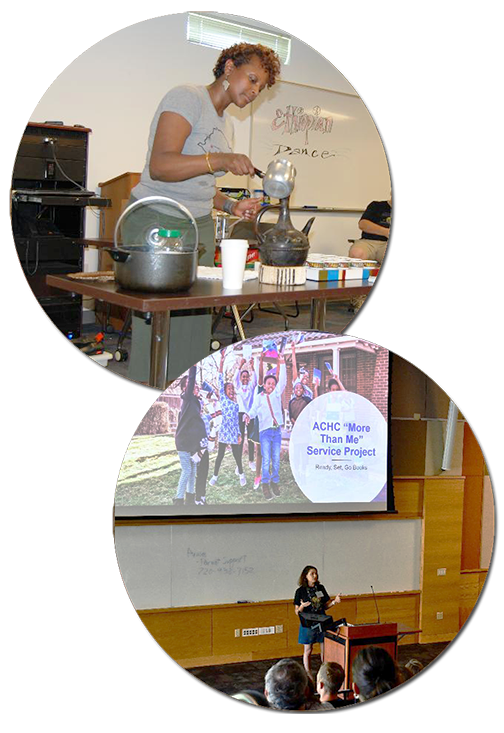 HCAF’s camp presenters include members of the various cultural communities that represent each camp, and those who are experts in a variety of fields. A cornerstone of our organization is the authenticity of our cultural programming for all ages, from preschoolers to parents. Central to the structure of Heritage Camps For Adoptive Families is the belief that adoptive parents should make a commitment to “do the heavy lifting” when it comes to sacrificing time and energy to plan and implement camp, with significant guidance from cultural community members. Aside from our cultural programming at our heritage camps, families benefit from the professional expertise of presenters — from therapists specializing in adoptions, geneologists who help families navigate the ancestry DNA process, yoga teachers who facilitate some self-care, to those who facilitate birth-country travel.